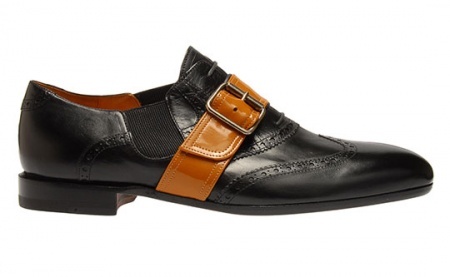 Dries Van Noten Oxford Shoe | Definitive Touch - Men's Contemporary Style. This elegant Oxford shoe from Dries Van Noten comes with a great adjusting brown leather strap and elasticated sides for easy slip-on. This true classic, with a hint of modernization, is avaiable now through Browns.